Ambedkar Jayanti or Bhim Jayanti marks the birth anniversary of Dr Bhimrao Ambedkar or BR Ambedkar. The first birthday of Dr Ambedkar, fondly known as Babasaheb was publicly celebrated on 14 April 1928 in Pune. Ambedkar who was also bestowed with Bharat Ratna award is also known as the principal architect of the Constitution of India. Ambedkar Jayanti is said to be celebrated not just in India but all around the world. On Ambedkar Jayanti, which is a national holiday, people remember Dr BR Ambedkar and his contribution to the making of India and efforts to curb social discrimination against untouchables, also known as Dalits. 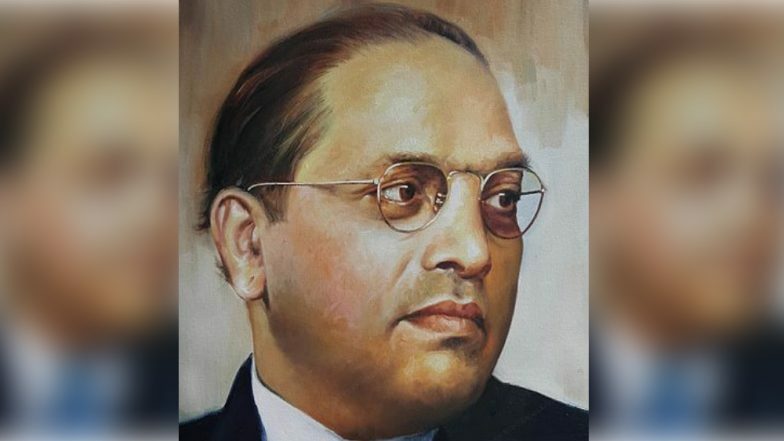 Ambedkar Jayanti 2019 Wishes: Facebook Greetings, WhatsApp Stickers, Instagram Images to Share on Bhim Jayanti. Ambedkar Jayanti is observed on April 14. It marks Ambedkar's birthday who was born on 14 April 1891. Dr Ambedkar's birthday was first publicly celebrated on 14 April 1928 in Pune, by social activist and Ambedkarite Janardan Sadashiv Ranpise. He started the tradition of celebrating Ambedkar Jayanti on April 14. Ambedkar Jayanti was declared an official public holiday in 2005 and since then it is being observed on April 14 every year. This year on April 14, India would be celebrating the 128th birth anniversary of Dr Ambedkar. Dr Babasaheb Ambedkar Jayanti Quotes: Memorable Slogans From the Immortal Statesman of India. Dr Bhimrao Ambedkar had many feathers in his cap. He was a jurist, economist, politician and social reformer. Known as 'The Father of the Constitution of India', Ambedkar spearheaded a campaign to protect rights of the poor, downtrodden and lower caste people. When Ambedkar, who was a Dalit, had to face discrimination in his school days. Despite open bias against Dalits, Ambedkar, in 1897 became the only untouchable enrolled at Elphinstone High School. Ambedkar studied at University of Mumbai, Columbia University and London School of Economics. He was the first Indian to pursue a doctorate in Economics abroad. He inspired the Dalit Buddhist Movement in India and embraced Buddhism on October 14, 1956. Ambedkar took his last breath on December 6, 1956, in New Delhi where he was accorded a Buddhist cremation. In 1990, Ambedkar was posthumously conferred with Bharat Ratna, India's highest civilian award. On Ambedkar Jayanti, his struggle and efforts to promote education to untouchables and uplift them are recalled. It is a customary for the President, Prime Minister and leaders of major political parties, to pay homage at the statue of Ambedkar at the Parliament on Ambedkar Jayanti.